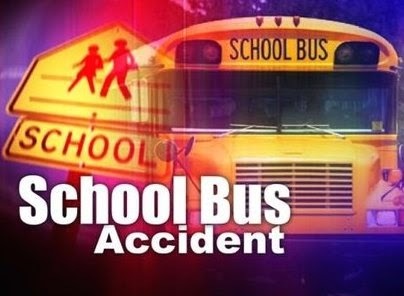 On Thursday, July 24, 2014 at approximately 3:16 p.m., the Galloway Township Police Department responded to the intersection of South Cologne Avenue and Aloe Street in reference to a motor vehicle accident involving a school bus. Christopher Gillis 19, of Galloway was driving a 2000 Isuzu box truck and traveling east bound on Aloe Street. Gillis approached the intersection with Cologne Avenue and initially stopped for the posted stop sign. Gillis proceeded through the intersection prior to making sure the roadway was clear and was struck by a school bus driven by Christina Lindwall 64, of Newport who was traveling north bound on Cologne Avenue. No one involved in the accident reported any initial injuries on scene. As a precaution, all of the students on the bus who are attending Atlantic County Special Services School were transported to Atlanticare Regional Medical Center Mainland Division for medical evaluations. The students were transported by The New Jersey EMS Task Force Medical Ambulance Bus 12. Christopher Gillis was issued a summons for careless driving. Traffic was delayed for approximately one hour while police investigated the accident. Anyone with any further information is asked to contact Officer Matthew Worth at 609-652-3705 ext.081.